Will this be the year you cut the cord? I can tell you already that 2017 will be the most expensive year ever for conventional pay television. Cable providers already charge over $100 per person for their customers out of contract and that’s only going to go up. Sure, you can try bouncing from provider to provider if you even have a choice in your area, but sooner or later you’re looking at close to $1,500 a year, just to watch TV. Now, if you’re a DIRECTV or DISH customer and you like what you have, that’s great. If you’re in a position where that amount of money seems like a good deal for what you’re getting, fantastic. In fact satellite TV is a great value, but let’s be honest, it’s also a lot of money. That’s why so many people are cutting the cord, combining an antenna (hopefully from Solid Signal) with some form of streaming service to cover all your entertainment needs. If you choose to go 100% antenna you’ll pay nothing, which is $1,500 a year in your pocket. Think about that. Even if you choose a streaming TV service like Sling TV or DIRECTV NOW you can get that bill down low enough that you’ll feel good. However, you do need to be careful when adding streaming services, because sooner or later you’re going to pay just as much when you combine Hulu, Prime Video, Netflix, HBO Now, etc. It’s a slippery slope. Cutting the cord has never been easier thanks to streaming TV apps from the major networks. Even though you need a subscription to pay TV to get older episodes, most TV apps (like the ones from ABC, TBS, and others) will let you watch the most current week’s episodes for free even if you don’t have a pay-TV provider. That means you can watch live TV with your antenna and still get caught up with your favorite shows, as long as you watch them the same week they air. Even if you want to watch older episodes, a lot of web sites let you watch full episodes if you’re browsing on PC. The trick is to use something like this MyGica home theater PC. Connect a wireless keyboard and mouse to it and connect it to your TV and the whole world is open to you. If you have an older PC that you’re not using, it can also make a great home theater PC as long as it can connect to your TV over HDMI. 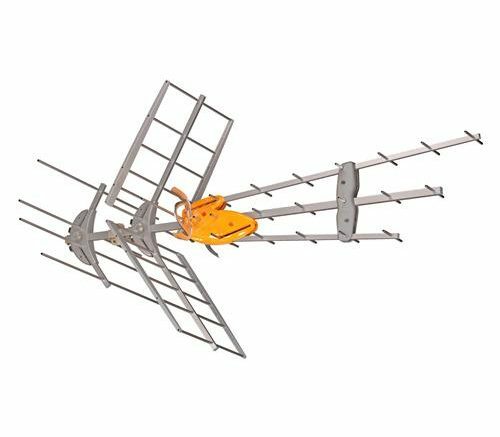 Most people don’t know that by putting up an antenna they can get dozens of channels that are not available on cable or satellite. These include movies, shopping, local interest, and news, and they’re all FREE! Once you put up an antenna there’s nothing more to pay, ever. Cord-cutting is all about taking back your TV watching experience, putting more money in your pocket and taking control over your money. It’s a genuine trend, and it’s sure to keep growing. Maybe this will be the year that it call comes together for you! What’s the best material for an antenna mast? How is antenna performance measured?